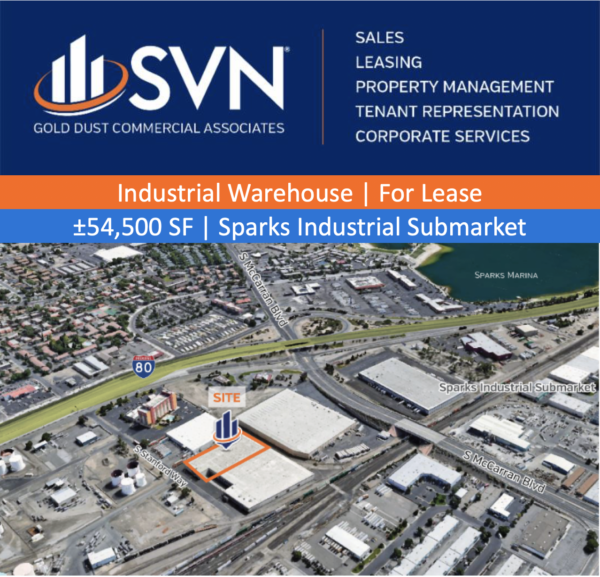 Just listed — an industrial warehouse located at 240 S. Stanford Way is for lease. The ±54,500 square foot space is available for $0.32 PSF/Mo. (Modified Gross) and inside the Sparks Industrial Submarket. The property features ±1,500 SF of office space, 22’ clear height and four dock doors.